If your team colors are orange, put on this Adult Bob Orange Wig and go support the team. 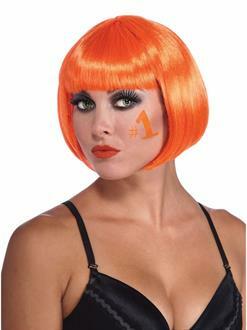 The straight bob style is cut at the chin and features full bangs. It will also complement a pumpkin or jack-o-lantern costume.